The Walt Disney Museum in San Francisco is one of the newer additions to the SF museum scene. This modern, high-tech attraction opened just a few years ago and is a perfect pick for the entire family. Inside this amazing place, they bring to life the creativity and innovation of Walt Disney, the man. It's the storyboard of his life and the process by which he became wildly successful. 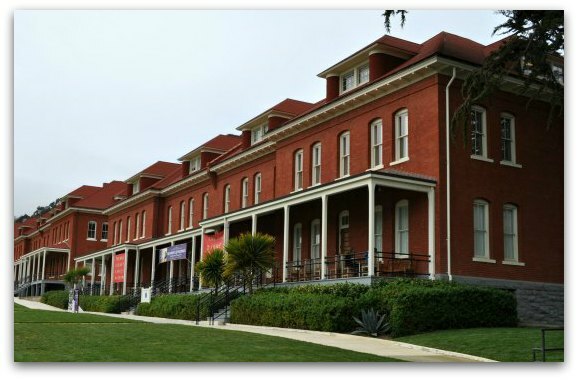 You will find the Walt Disney Museum in San Francisco's Presidio. It is at 104 Montgomery Street. You can purchase tickets at the door. You will also sometimes find discounts on tickets to this museum when you purchase through City Sightseeing. Also, when you purchase tickets, remember that their special exhibits are usually an additional $5 per person. Another way to gain admission to the Walt Disney Museum in San Francisco is with the GoCard. This discount pass offers admission to more than 25 attractions and museums. It also includes tickets to select cruises and tours. This pass allows you to select the attractions you want to visit. It offers a discount of up to 55% vs. purchasing all of the tickets separately. In addition to this museum in the Presidio, you can also select to visit the California Academy of Sciences, head out on a 60-minute bay cruise, or visit the Exploratorium. 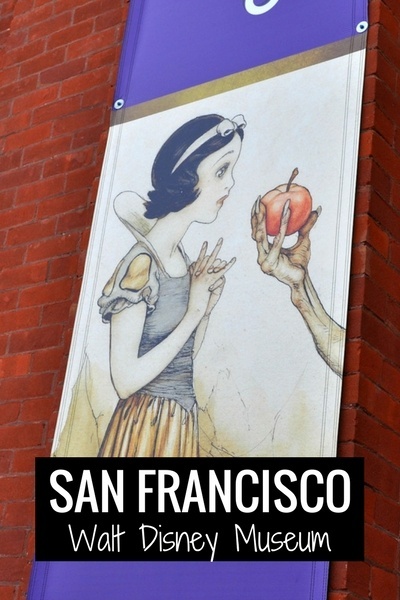 Other highlights of the GoCard by Smart Destinations include the SF Museum of Modern Art, a tour of Oracle Park (formerly AT&T Park), and a 1-day Hop On Hop Off Bus Tour. All active and retired military will receive free admission into the museum. This includes their spouses and dependents. All you need a valid military ID. In addition, the Disney Museum in San Francisco participates in the Blue Star Families program. This offers free admission for military personnel (with a valid ID) plus 5 guests between Memorial and Labor Day Weekends. 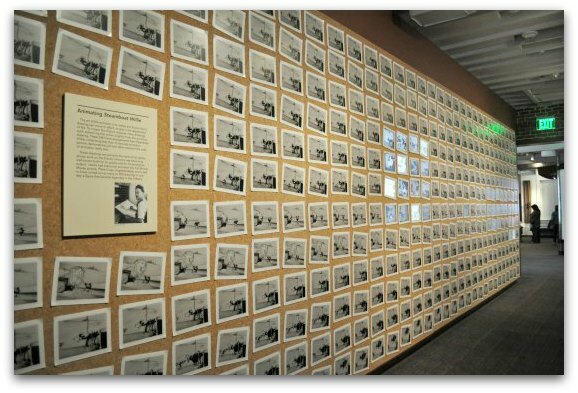 This Walt Disney Museum in San Francisco includes 10 galleries. In addition, there is a separate building where they display special, temporary exhibits. The gallery collection begins with Walt Disney's childhood. It showcases photos and early documents from his younger years. I really enjoyed seeing his birth certificate and other pieces from this time in his life. The "Beginnings" Gallery is the only gallery on the first floor. Once you complete this exhibit, take the elevator up to the galleries on the second floor. This entire gallery progresses from some of his early successes all the way through to his post World War II production ventures. 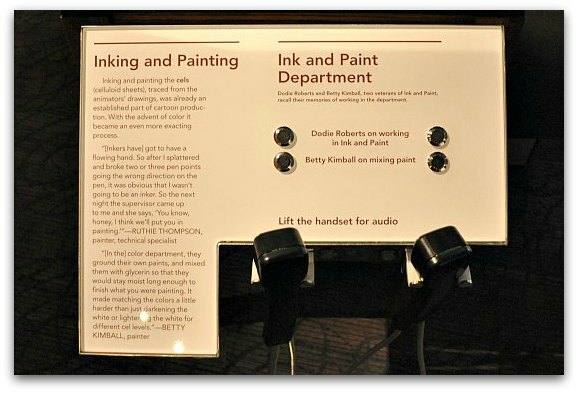 Along the way, you will find interactive displays, videos showcasing his work and audio recordings from Walt Disney himself. While the buildings doesn't look very big, you could spend hours with its interactive technology. I recommend setting aside at least two to three hours to visit all the exhibits on display here. One of the most loved areas of this site is the exhibit with early Mickey Mouse items and drawings. Another popular stop is the section on how Snow White, the first full length animation movie, came to life. Other exhibits on this floor include Pinocchio, Fantasia and Bambi. You will also discover details about the toughest years of Disney's life including the 1941 Disney animator strike. Another powerful exhibit is an audio recording of him testifying in front of the House Un-American Committee in 1947. After you complete your journey on the second floor, you will then take a slightly sloping ramp back down to the first floor. As you walk down this ramp, you will encounter floor to ceiling windows that provide the perfect view of the Golden Gate Bridge. Your self-guided tour in the museum includes Disney's expansion in the 1950s and 1960s into television, the creation of Disneyland and his work on the 1964 World's Fair. Your visit ends up with details of his death. This area includes a story of his last few days from his daughter Diane. You can also listen to a few audio recordings from many of his friends offering their condolences to the family. The Disney Museum also set aside a separate building to display their special exhibits. They feature Disney related themes that dig deeper into certain films or topics. During my visit, they were showing a detailed look at the creation of Snow White and the Seven Dwarfs. This area of the museum is also very well done, informative and interactive. Many of their special exhibits cost an additional $5 to $10. Since it's in a different building, you will get a separate ticket for these exhibits. 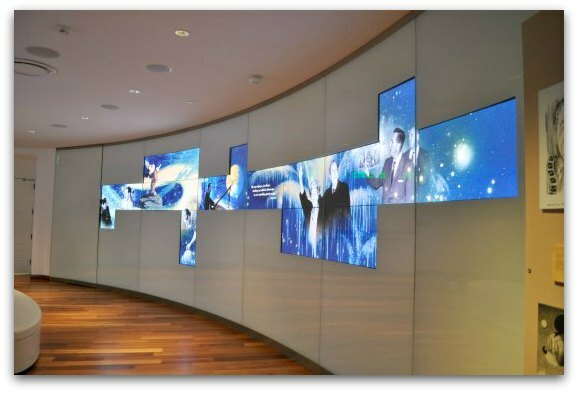 To manage traffic flow in the special exhibits, they will give you a specific time to visit. Your entrance time is printed on your ticket. If you happen to miss it, head back to the main ticket booth and they will issue you a new time and ticket. In addition to the exhibits, they also show one to two films a day. They usually start at around 1pm and 4pm. The tickets at $5 if you are also buying or have tickets to the Walt Disney Museum. You can also just check out the movie, which is $10 for adults and $8 for youth. The movies are shown in a 114-seat theater in the lower level of their main building. They range from Mickey Mouse cartoon shorts to feature films such as Snow White and the Seven Dwarfs. There is a small, simple cafe on the first floor that features fresh salads and sandwiches as well as coffee and other beverages. The gift shop includes dozens of books and other items related to the world of Disney. The museum also recently changed their policy on photography. You are now allowed to take photographs inside the museum as long as you don't use a flash. From Union Square: Your best bet from Union Square is to take the 38-Geary and transfer to the 43-Masonic. Pick up the 38-Geary bus along Geary Boulevard near Union Square (Geary and Powell is one of the closest stops). Take the 38 to Geary Boulevard and Presidio Avenue. You will then take the 43-Masonic north to Letterman Drive and Lincoln Boulevard in the Presidio. You will need to walk about 5 blocks north to the museum (cross the street after you exit the bus, take a left to follow the path and you will start to see signs for the Disney Museum). From Fisherman's Wharf: You will need to take two buses from Fisherman's Wharf to reach the Presidio. Pick up the 30-Stockton at North Point and Hyde Streets and head west. Take this to the corner of Chestnut and Fillmore. Pick up the 43-Masonic, heading toward Geneva and Munich, and take it to the corner of Presidio Boulevard and Letterman Drive. From here, you will walk about 6 blocks to the museum. The Presidio is one of the few places in San Francisco with plenty of parking. If you drive here, you can park in a lot less than a block away. When you enter the Presidio, follow the signs to the "Main Post". This will get you right to the parking lot and the Disney Museum. Right now, parking is only a few dollars an hour. It's also free on the weekends. This might change in the future, so make sure you confirm pricing once you arrive. I've had the chance to visit the Walt Disney Museum in San Francisco numerous times. It's a great experience and well worth the price. There was so much I didn't know about Walt Disney before stepping inside the doors of the museum. As I walked from room to room, I was amazed at the attention to detail they took in pulling it all together. It's a great museum for both kids and adults. The first few exhibits might be a bit boring for younger kids, but they will become more engaged as you reach the second floor as this is where you will start to see more of his cartoon creations. The special exhibits that I've had the chance to see have been really amazing too. They both give you an insider's view on what it really takes to pull a cartoon together. They offer step-by-step details on how each piece is created and, in the end, how they pull it all together. I love seeing the early works of the cartoons we know and love today. Often, they are so different from the final product. It really shows you a lot about the creative process and the detail it takes to finish a short or a full length film. 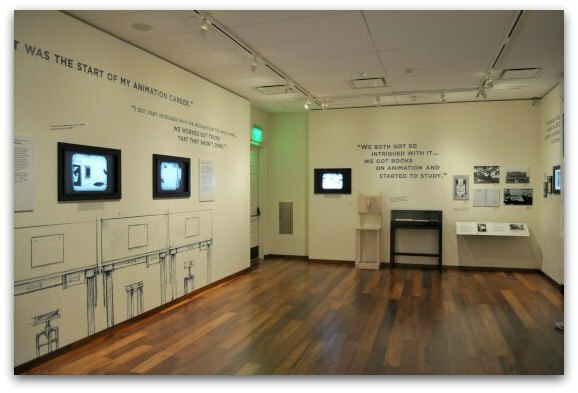 The Walt Disney Museum in San Francisco is the perfect stop for anyone that loves cartoons or the Disney franchise. What else would you like to know before your visit?